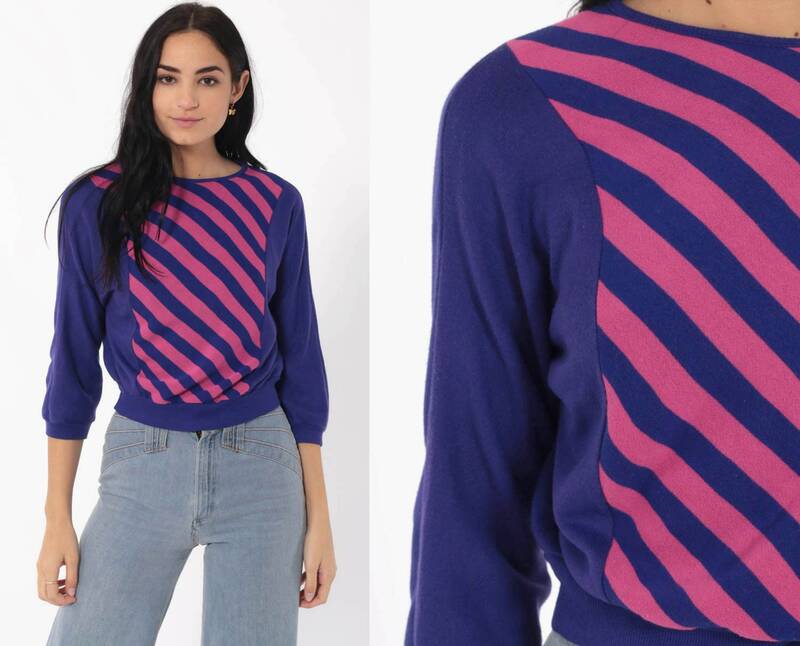 Vintage 80s sweatshirt in purple with pink stripes and batwing sleeves. Condition: Very good vintage. 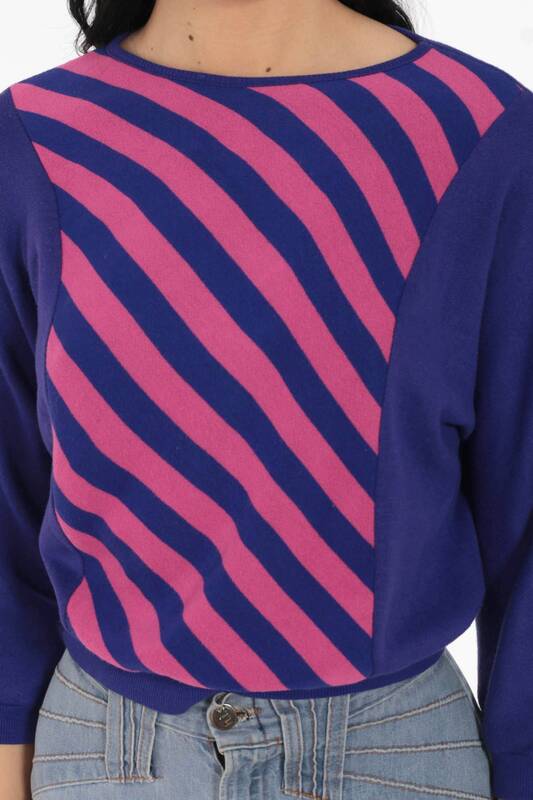 Has a spot on the back of the sleeve.